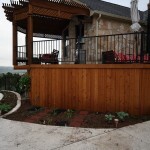 See our Blog for the most recent designs and pictures of completed gardens! Vegetable, fruit, and flowers can be combined in many ways and are a great way to cut down on grocery costs, keep the environment healthy and keep you and your family active and healthy. Remember…start small, use earth friendly products, and keep learning. 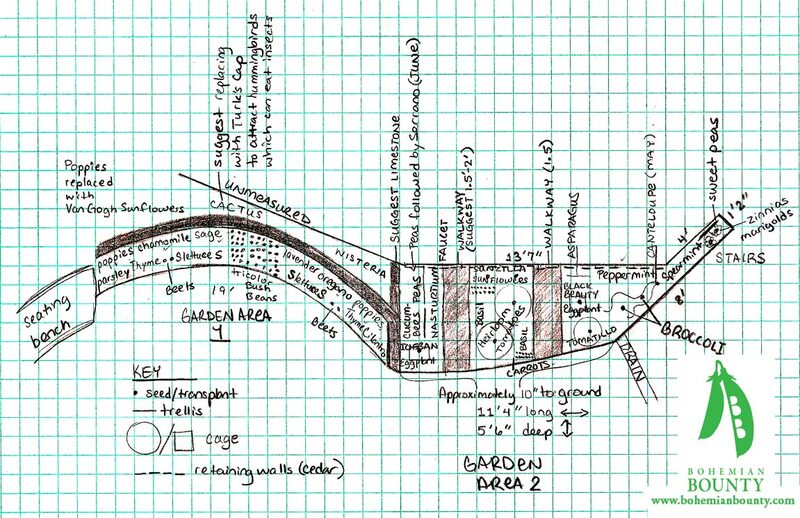 We are excited to bring you the beginning of a series of gardens built in the spring of 2010. Many Texans are becoming inspired to refurbish their current garden spaces and we are privelaged to have been there to help them. Stay tuned for more slide shows. Life is a garden, dig it! 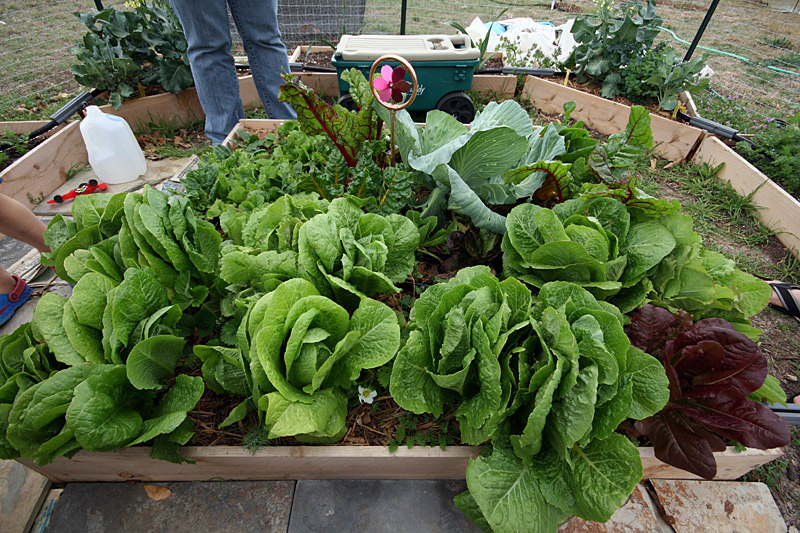 Many people ask us how to choose materials for gardening with edibles – especially when it comes to raised beds. We recommend using natural cedar due to its resistance to rotting. Pine will only last 2 years and termites enjoy munching on it. When dealing with edibles, you should avoid chemically treated wood. Stone is also a good option but the larger the area the more costly. Cedar is by no means low cost but if you have access to free or low cost, fairly straight cedar posts, they work very well. This fall we installed a unique garden made with native cedar logs. The design was done by Amy Crowell and the installation took two days. 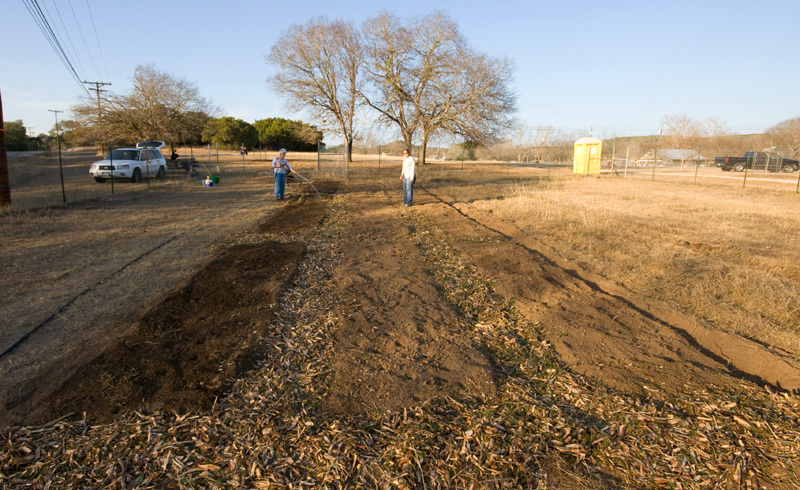 It turned out to be a beautiful garden structure and we look forward to see the beds filled out with the winter veggies. Congratulation Genny! 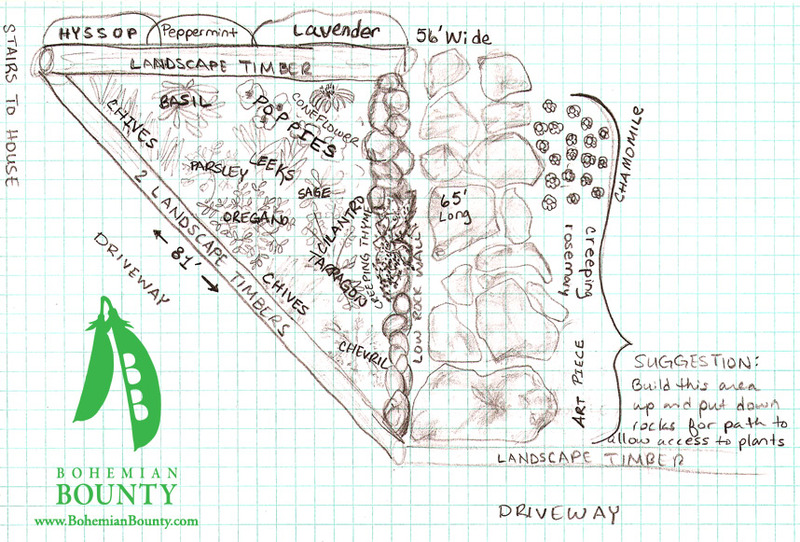 We also featured Genny’s compost pile in the slideshow because it a a great design example. The first images show the area before our fall rains and then you see the native weeds in the next images. During the build you will notice we use newspaper as our weed block. We have seen the store bought weed block in many yards and neither weeds nor veggies pay attention to the barrier. The one thing that does suffer from the separation of new landscaping and existing soils are the earthworms. Newspaper is biodegradable, and free and helps kill off the initial weeds but eventually decomposes to allow earthworms into your garden. The mulch and a gardeners diligent weeding will eventually rid that area of weeds. We will rephotograph this garden after a few weeks to see the progress. This garden design took a wonderful, pre-existing terraced front yard in Clarksville and revived two flower beds with compost, organic amendments, herb and vegetable transplants and seeds. The planting was done in early October for a fall/winter garden. We’ll add more photos as the plants come in. This was one of our last spring gardens to go in – two small starter beds. While it suffered in the crazy heat and dry spell that was to come it has started to produce this fall. Sorry to take so long getting the photos up! From the photos you can see the area gets dappled sunlight part of the day which is a bonus in the Texas summer. 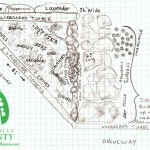 Here is a basic garden we designed for 2-4 people. It’s designed with a small footprint so it doesn’t take up much space. 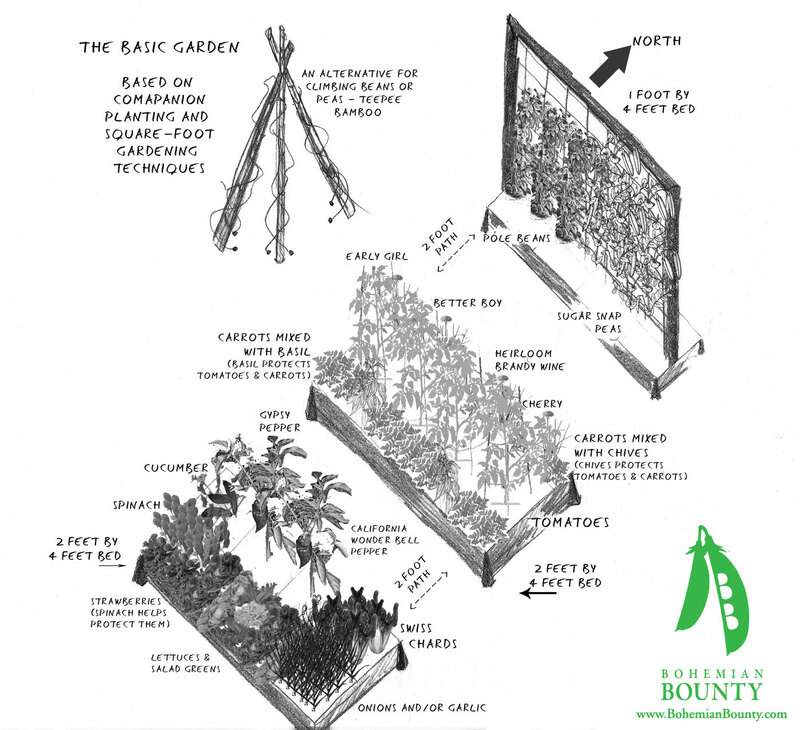 A vertical garden on the north end extends the growing area for vining plants. 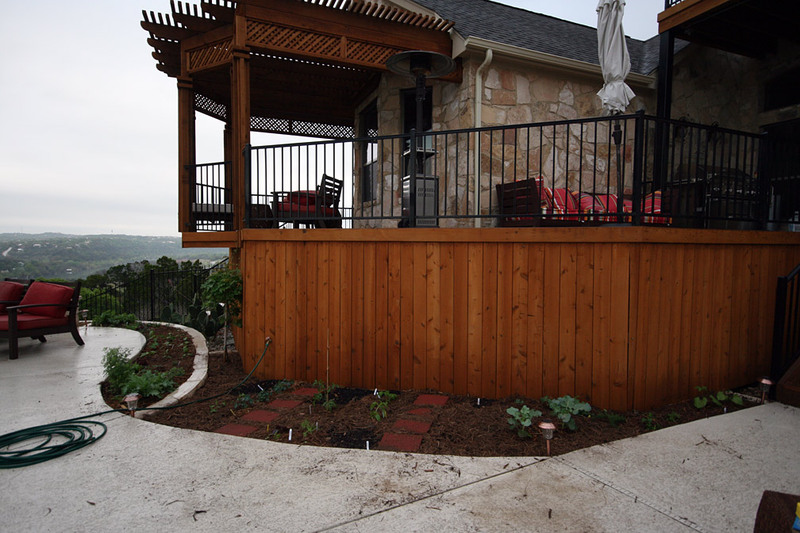 A winter garden design and installation in Round Rock, TX was inspired by intensive raised bed gardens and Square Foot Gardening methods. 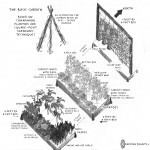 The garden holds fall and winter crops that feeds 4-5 people. It includes several strawberry plants for overwintering which were a special request as a child’s treat in the spring. This garden has a kid-friendly design by incorporating colorful Swiss chard, two colors of carrots, jewel colored beets, strawberries and snow peas. See new spring pictures of this garden! It’s beautiful! 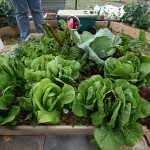 The center 4'x4' bed with very happy lettuces, greens, cabbage and spinach. This is the first of 3 beds written about in the post entitled Farm Homestead Revival. It incorporates 2 main garden areas composed of multiple narrow 4-foot wide linear beds, accessible by 2-foot wide foot paths throughout. In total, when fully planted out this garden encompass 1,440 square feet of bedding space! Jen included a 3 year suggestion for plant rotation emphasizing companion planting and cover crops to capture some nitrogen which is low in the soil. 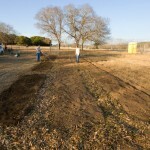 The second bed is now in and Goat Farm Gardens is born. We’ll post that design soon. End of the day, beginning of Anne's personal farm. Bohemian Bounty was happy to help! The following design was a small infill herb garden. Its location was beside the driveway, walkway and stairs leading in to the house’s kitchen. A narrow planting bed would provide enough room for some fresh herbs to be used in cooking. Existing landscaping timbers were incorporated in to the design to save money and build up the bed along with a wall of small river rocks. This garden converted a poolside cactus patch to veggies. We had fun surrounding this pool area with green herbs and vegetables instead of prickly plants and heat-holding rocks. It’s also kid-friendly and accessible. See pictures and a time-lapse video of the install in this blog post. 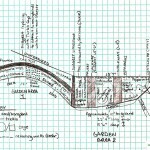 Poolside vegetable and herb garden design.